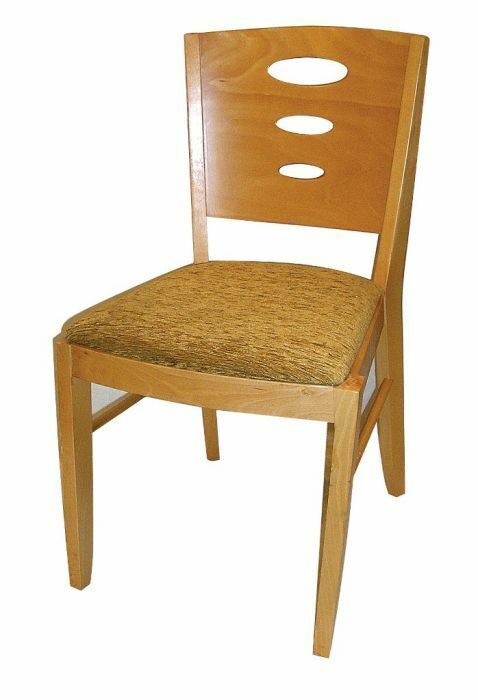 Wooden dining chair with a decorative back available with a wooden or upholstered seat in a selection of finishes. Suitable for a wide range of commercial applications. Sharp design, sturdy dining chair suitable for use in a busy restaurant atmosphere. The chair includes four sturdy wooden legs and an extra thick padded, upholstered seat for comfort.